Who’s The Only Rapper Demi Lovato Lets Smoke Weed In Her House? As it turns out, there’s only one rapper that can smoke weed in Demi Lovato’s house. Watch this video to find out who. 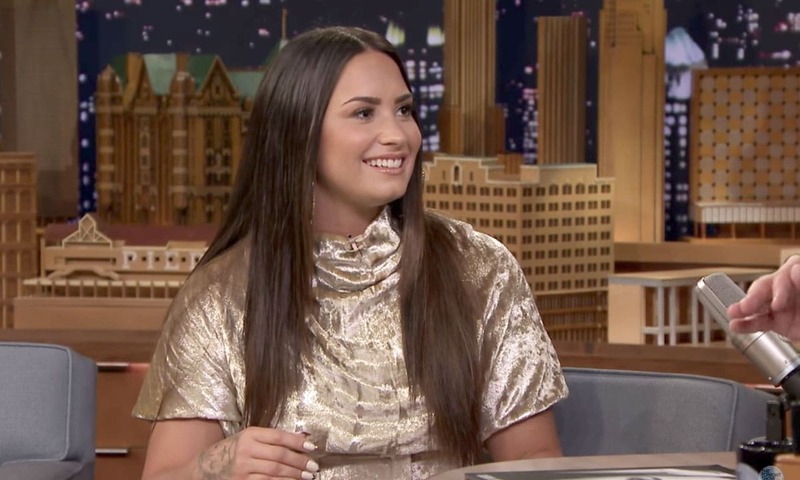 On Monday night, the lovely Demi Lovato sat down with Jimmy Fallon on the Tonight Show to discuss her hot new album Tell Me You Love Me. But that’s not all. As it turns out, the inspiration for the music video for hit song “Sorry Not Sorry” comes from an epic house party held right in her home. Not only did rappers Wiz Khalifa, French Montana, and Ty Dolla $ign show up, but so did another celeb in particular. One that really, really loves pot. Find out who’s the only rapper Demi Lovato lets smoke weed in her house in the video below. Demi Lovato: Sorry, not sorry. On Monday night during The Tonight Show Starring Jimmy Fallon, Demi Lovato and Jimmy Fallon discussed some things. First, the music video her chart-topping song “Sorry Not Sorry.” In case you haven’t seen the music video, it features a wild house party. Between all the bubbles, people, and slip and slides, it looked like one hell of a good time. As it turns out, the video is inspired by a true story. Demi decided to have a couple of people over one night, and so she hit up her friend Daveo to round up a few. But little did she know, it was about to be a party. Hours later, a bunch of rappers starts showing up, including French Montana, Wiz Khalifa, and Ty Dolla $ign. It wasn’t long before her crib began to fill up with weed smoke. Why? Watch the video to find out.